This is part one in a series of posts about 2017 legislation seeking to alter state laws concerning the timing of presidential primary elections or caucuses. A careful reading of the set up post to this piece is revealing of an omission to the group of states that made caucus-to-primary shifts in 2016. While Maine and Minnesota took more conventional routes -- passing legislation establishing presidential primary elections to replace caucuses -- Colorado voters took an atypical path in the state's switch to a presidential primary for the 2020 cycle. And it is not that Colorado legislators had not tried to make the change. Efforts in both 2015 and 2016 languished in the committees to which they were referred and died when their respective sessions adjourned. In addition, the 2016 bill was introduced with the 2016 caucuses process in the Centennial state as the backdrop. That "debacle" featured a state Democratic party overwhelmed by a large turnout (and other subsequent problems) and Republican process that elected delegates but without an attendant preference vote for president. The result was that Coloradans of all political stripes were left unsatisfied with the process. Enough were disenchanted and organized -- even in the time in mid-spring around which the 2016 presidential primary legislation was introduced -- that an initiative was approved and added to the November general election ballot. When the legislative effort failed, then, there was a citizen-driven effort, approved by the Colorado secretary of state, to fill the void. That initiative, Proposition 107, easily passed. The practical effect was that 107's passage brought Colorado in line with Maine and Minnesota. Whereas all three states have had presidential primaries in the past, all three have been caucus states over at least the last four cycles. And like those other two caucus-turned-primary states, Colorado made the switch, but did not specify a date on which it would regularly occur. Instead, the new law as approved by the voters ceded the date-setting authority to the governor of Colorado, but with significant limitations. The guidance provided allows the governor to set the date of the primary on a Tuesday 1) not before the earliest date allowed by the national parties and 2) no later than the third Tuesday in March. That gives the state some leeway, but not much. Before September 1 of the year prior to the presidential election, the Colorado governor will have the ability to set the date of the primary on the first, second or third Tuesday in March.1 Together, all three weeks saw a significant chunk of delegates allocated in 2016. That window was a clustered area on the 2016 primary calendar, but one in which the Colorado caucuses were scheduled anyway. All of that is simple enough. First, there is a switch in Colorado from a caucus to a primary. And additionally, that contest will be conducted during the first three weeks of March 2020. However, there are at least a couple of relevant caveats for which to account. 1) This is not the only instance of a state that arrived at a presidential primary by a voter-driven initiative. Washington is another example, and the experience in the Evergreen state over the last 25 years is instructive if not cautionary. Washington has held its presidential primaries in that time but the state parties there have often held the contest at arms length. The Republican Party has only partially and occasionally used the contest as a means of allocating its national convention delegates. This past cycle, 2016, was the first time in the Washington primary era that the party used the primary results to guide the allocation of all of its delegates. The Democratic Party has been worse. In that time, the party has only ever utilized the primary as a beauty contest, most often occurring after the first determining step of the delegate allocation process (the precinct caucuses). Delegates, then, have been allocated based on the state party-run caucuses rather than the primary. One could potentially see the partisan roles reversed in Colorado. Democrats spearheaded the early legislative efforts in the Centennial state to trade in the caucuses for a primary. But a small number of Republicans in the state legislature were able to kill those bills in committee. Moreover, Colorado Republicans not only opted for closed caucuses in 2016, but chose to eliminate the preference vote at the precinct level in an attempt to continue the state party tradition of sending an unbound delegation to the Republican National Convention. A higher turnout primary among Republicans much less the independents now allowed to participate may be more than the party wants. Could the Colorado Republican Party opt out of the primary in the way that Washington Democrats have? The answer appears to be no. On the one hand, Colorado Republicans could take the state to court on freedom of association grounds since under the guidelines of the new primary law, independents are allowed to participate. Neither chair from either of Colorado's two major parties was a fan of that part of the change in the lead up to the election last November. Possible court challenges aside, there is a further complication for Colorado Republicans; one not faced by Washington Democrats. Historically, Colorado has been one of the few states where state legal code affected things like the timing of caucuses. In most caucus states, that is a matter solely left up to the state parties. But in Colorado, state law described the parameters under which caucuses were conducted. That is part of the reason both parties there held caucuses on the same night in 2016. Both parties have also historically followed the letter of the law that part of the statute. But it, too, was altered by the ballot initiative voters passed in November 2016. Rather than giving the parties the option of the first Tuesday in February or March to hold caucuses, the new law lays out a Saturday after the primary date for party precinct caucuses (to begin the process of selecting delegates). That is an important change. If the parties had maintained the option of holding earlier caucuses, Colorado Republicans could have opted into that type of contest in lieu of the later primary. That is, of course, assuming the party chose to replicate its 2016 strategy: caucuses without preference votes. And again, that was practice was at least part of the rationale driving the ballot initiative in reestablishing the presidential primary in 2016. But that February option is off the table. It is no longer in the statute. And without it, Colorado Republicans would be forced, under Republican National Committee delegate selection rules, to allocate delegates based on the initial statewide contest, in this case the primary. 2) One additional, far less detailed caveat, is that the Colorado General Assembly during its 2017 session tweaked the law adopted via the November ballot initiative. And the emphasis is on the word "tweak". This was not an effort to repeal or reverse the changes coming from Proposition 107 as has happened elsewhere. Instead, the move in Colorado was to clean up and clarify a number of points. For our purposes, the changes were twofold. First, the legislature empowered the secretary of state along with the governor to settle on the date of the presidential primary. Technically, the pair could be from different parties which could present either benefits or challenges. The more practical rationale behind the move is to bring into the process the main election administrator in the state. SB 17-305 also clarified the protocol by which the state is to handle the participation of voters unaffiliated with either of the two major parties (who are now allowed to participate in the presidential primary). Governor Hickenlooper (D) signed SB 17-305 into law on May 19, 2017 and it will likely take effect in August. 1 This assumes that the national parties maintain their preference for non-carve-out states to begin holding primaries and caucuses on the first Tuesday in March and after. If that changes, then the Colorado window could expand or contract. With state legislatures across the country at various stages of winding down their work for 2017, FHQ should do what it should have done at the outset of those bodies convening earlier this year. Mainly, that means putting together an outlook of what one might anticipate with respect to their efforts at scheduling or repositioning presidential primary elections for the 2020 cycle. Consider this -- even retrospectively -- as a set of guidelines. First, one does tend to see more action in odd numbered years. However, the year after a presidential election is usually a period when the urgency to shift the dates of presidential nomination contests is, if not at its nadir, then quite low compared to other windows of time. There may be some lingering sentiment to reorder the primary calendar in the time immediately after a presidential election cycle among constituents and legislators alike -- when the most recently completed presidential nomination process is still fresh on the minds of both -- but that does not often lead to actual changes. More often, any leftover feelings from and about the previous process make their way into proposed/introduced legislation that ends up much further down the list of legislative priorities for the majority of legislators. To put it in language that FHQ often uses, there may be a willingness to improve the lot of a state and its presidential primary position among a handful of legislators but they rarely have the ability to translate that into passed and signed legislation. Again, there are bigger fish to fry for most legislators coming off an election of their own. As in Washington, the time to move on legislative priorities -- especially if they are large in scope -- is early. None of this is to suggest that one does not see any activity. Rather, there are factors that tend to limit that action in the year after a presidential election. The convergence of legislative willingness and ability to alter the timing of a presidential primary election tends to occur when that aforementioned urgency is raised. And that most often occurs not in the year after the last presidential election cycle, but in the year before the next presidential election cycle. Very simply, the timing of the next presidential primary election is a bigger priority to state-level actors in the period just before the next primary season. Incidentally, that is also a period in which there is much more data available legislatures considering a move; data on the political climate that may hover over the next nomination process, data on what the national party delegate selection rules will be, and emerging data on who may be actually running for the nomination(s). Political climate is a bit of a catch-all. Midterm elections do not necessarily portend what is to come in the next presidential election cycle. An out-party that flips control of one or more houses of Congress will not always be able to parlay that into taking back the White House two years later. That does not mean that there is nothing that can be taken from those midterms for the next cycle. It is just that what take-home messages are produced -- again, with respect to the movement of presidential primary elections -- happens at the state level and not at the national level (or because of how state-level actors read or react to what is happening nationally). One example of this comes from a factor that FHQ has mentioned in a recent series of posts about the current efforts to move the California presidential primary for 2020. That potential calendar change and possible Democratic state government gains (both gubernatorial and state legislative) in 2018 may lead to a heightened desire among those out-party governors/legislators to reshuffle the primary calendar deck in 2020. That desire does not exist now. In 2017, with Republicans in control of an overwhelming number of state legislatures across the country, primary calendar positioning is even further down the list of priorities. There is little desire -- little urgency -- among most Republicans state legislators to alter 2020 presidential primary election dates. In 2019, that picture may be different. And bear in mind that political climate is more than merely what can be read from a midterm election. That election provides a snapshot in an ever-evolving time series, but one that can confirm or refute the (whether real or perceived) trajectory of the balance of power between the two major parties. All of this is perhaps a long-winded way of saying that a change in partisan control in states across the country may affect the extent to which primary election positioning is a priority in 2019 when the majority of those decisions tend to or will be made. Beyond the climate, the national party rules also matter in this mosaic. A rules change in 2018 may affect or even prompt state-level changes in 2019. And there is recent precedence for this. Democrats allowed February contests starting in 2004. That had the effect of inviting states to schedule earlier contests that cycle; something that bore fruit in 2004, but saw much more movement four years later. Both parties informally agreeing to a rough primary calendar outline after 2008 additionally forced some of those same states that had moved for 2004 and 2008 to reconsider their positions. It took that informal coordination and some tweaking on penalties across a couple of cycles -- 2012 and 2016 -- to carve out February for just Iowa, New Hampshire, Nevada and South Carolina. That left the remaining states to pick and choose spots in the March to June window. Those sorts of changes to the national party rules on timing may affect what states do thereafter. So, too, might national party incentives/penalties concerning delegate allocation (winner-take-all, proportional, etc.) or participation (open, closed, etc.) affect state-level decision making. Finally, perceptions of who may or may not run for a presidential nomination are more concrete in the year before a presidential election than just after the last one. That may affect decision making in the home states/regions of prospective candidates. 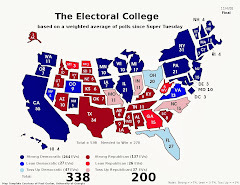 Think southern Democratic-controlled states attempting to fashion a calendar that would produce a more moderate nominee in 1988 or the moves by legislators in Illinois in 2007 to benefit Barack Obama. Yes, this is a factor that is narrower in terms of its reach, but it is a variable in all of this nonetheless. Now, the above description paints a picture of a process that will unfold not now but in a couple of years. That is still mostly true. To the degree there have been or will be changes to the presidential primary calendar, it most of it will happen in 2019. However, 2016 witnessed caucus to primary shifts in both Maine and Minnesota. And 2017 has not been without some activity. The efforts in California are the most prominent, but there are and were attempts elsewhere. In the coming days, FHQ will take a tour through the country and discuss the attempts in states where the issue of presidential primary timing has been raised. It is a story marked by legislation that has mostly lain fallow since introduction and/or has been bottled up in committee. Again, there is a willingness but lacking ability to affect change in state legislatures this early. There are, however, exceptions to this rule. Is Frontloading a Real Issue for 2020? 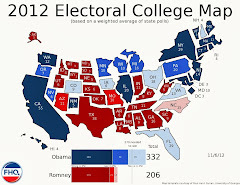 Recently, in a couple of posts about the possibility of California shifting up the date of its next presidential primary, FHQ mentioned that any move in the Golden state alters the delegate allocation calculus. And that is true. Any time a state worth approximately ten percent of the total number of delegates uproots its primary and moves it to another spot on the calendar, that has implications for how candidates and campaigns approach the primary phase of the presidential nomination process. Moreover, I went on to note that these decisions -- and especially one out of such a delegate-rich state as California -- do not happen in a vacuum. Other states, or rather political actors in them, take notice. Again, if past is a guide, then California changes cause other states to reconsider their positions on the calendar. But past is not always prologue. And that prompted James Pindell of the Boston Globe to ask a variation of the title question in an email exchange we had last week. Is frontloading a real issue? To start, the true response to that question is, "I don't know." I don't. When and if California does bump its primary up from June to March, states will begin testing that hypothesis. And the true test will be in 2019, the year before the next presidential election (a time when most of the decisions on presidential primary movement tend to occur). One response to a California move is the one FHQ has laid out: a big, delegate-rich state shifts to an earlier point on the calendar and sets off a sort of chain reaction similar to what happened in both 2000 and 2008. But Pindell was right to push back against that as the only explanation. It can also be persuasively argued that some of the lessons learned from the de facto national primary experience in February 2008 included some form of, "We spent all of that money to hold an earlier presidential primary and/or got lost in the shuffle of 20 or more states." In other words, "Maybe we should [have] save[d] some money and/or [have] be[en] more selective about where our primary ends up on the calendar." After all, that is the same retrospective, fight the last war mindset under which the national parties operate in their rules decision-making. State legislators, like those decision-makers within the national parties, can only use the data they have, and the most recent data -- the experience in the most recent cycle -- often colors the decisions made. All of that was particularly true following 2008. A number of states, Arkansas, California and New Jersey among them, that were part of the Titanic Tuesday on February 5, 2008 opted to revert to later dates in 2012. However, one external factor forced states to revisit their calendar positions in 2012: the national parties informally coordinated a more uniform primary calendar. The practical implication was something FHQ discussed for much of 2011. 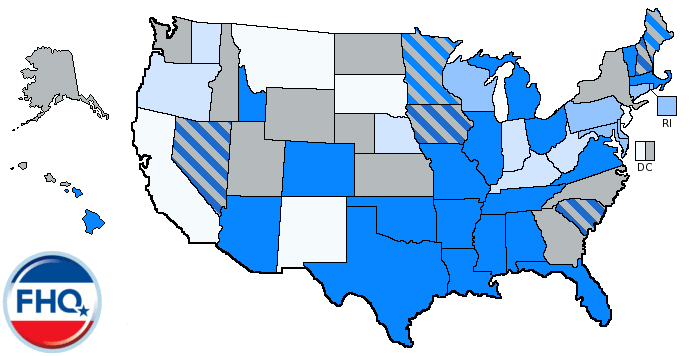 States that had held February contests in 2008 had to change their dates because February was off limits to all but Iowa, New Hampshire, Nevada and South Carolina under the national party rules in 2012. Those that did not abandon their February dates ran the risk of taking the delegate hit that Florida, Arizona and Michigan ultimately took heading in the 2012 primary season. Yes, those three states and a number of additional non-binding caucus states broke or skirted the rules and held contests in the late January through February period. Yet, the vast majority of formerly February primary states saw the new national party delegate selection rules and sought relief from possible sanctions in the form of later primary dates. So, rather than cast 2012 primary movement at the state level as solely a function of financial/budgetary concerns, it is more all-encompassing to frame it as, "Well, if we have to move anyway because of rules changes, why not just (re)consolidate our primaries in the traditional later positions and save some money in the process?" That was the case in states like Arkansas, California and New Jersey. But other states had a different decision-making calculus; one dominated by partisan state government control. Among those formerly February primary states, if the state was Republican-controlled, it was more likely to shift back, but shift back to a lesser degree than Democratic-controlled states. Those Republican states tended to shift from February to March while the Democratic states pushed back even further to April or later. The impetus for that was that 1) Republicans saw significant gains at the state government level in the 2010 midterms and 2) the Republican Party was the only party with an active presidential nomination race in 2012. The lesson of de facto national primary in 2008, then, is a bit more complicated. And, in fact, in 2016 there was some potential unraveling of it. On the one hand, the national parties crafted rules that brought repeat offenders like Florida, Arizona and Michigan in line. The parties got what they wanted there: a clear February for the four carve-out states. But those three offending states made minimal regressive pushes. All three ended up at various positions in March and were joined from the other end of the calendar by states that got lumped into the SEC primary narrative (with minimal legislative action). Alabama moved up a week from its 2012 position, the Arkansas legislature shifted a consolidated primary from late May to March, and Texas reverted to its March date in 2016 after courts mandated a May 2012 primary because of a redistricting dispute. North Carolina also took a circuitous route to a mid-March primary date in 2016. The Florida, Arizona and Michigan shifts are one thing. Each was already early in 2012 and stayed that way in 2016 relative to most states. All three remained around the 50% delegates allocated mark on the calendar. But Texas and North Carolina played a role in where that point on the calendar ended up by clustering in March 2016. If California ends up in March 2020, then that mark shifts up even further. And that brings this discussion full circle back to the question that Pindell posed. Would other states move to earlier dates for 2020 because of that prospective California-enhanced clustering? 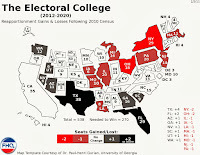 While that is a question that is affected by partisan concerns (the balance of power after the 2018 midterms) and budgetary limitations (consolidating, separating and funding primary elections), part of the answer will also be based on the perceptions of 2020 within the various state houses across the country. When these presidential primary scheduling bills come up in state legislative committee hearings or on the floor of a state House or Senate, the resulting discussions are rarely about delegate math or where the state is or would be positioned on the calendar relative to some seemingly arbitrary 50% delegates allocated mark. Most state legislators just do not have the time, energy or inclination to be that savvy about a primary date. Instead, the talk is about the economics of attention-seeking. Sure, there is some griping about Iowa and New Hampshire. What primary scheduling discussion would be complete without that? But most of them involve a serious discussion about how a move to a date clustered with regional partners or alone would grab the attention of the candidates and the media. That not only forces the candidates to address issues that are important to the state/region, but also means the candidates and media will spend money in the state as the campaigns sweep through. Part of the state legislative decision-making calculus ahead of 2020 will be the perception of how 2020 may proceed. If the current conventional wisdom holds, then 2020 will be a year with a wide open Democratic field of candidates that forces a race that lasts the whole length of the primary calendar. Moves like the ostensible shift in California can potentially disrupt that conventional wisdom (as can the nascent national party delegate selection rules). If that feeling holds -- that regardless of California's move, the Democratic race is destined to be competitive throughout -- then there is little urgency to move to an earlier date. There will be attention to seek wherever a state sits on the calendar. However, the motivation to frontload increases when and if the feeling changes to one where the race will end sooner rather than later. [Or if, say, a number of (newly) Democratic-controlled state governments opt for earlier dates so as not to cede influence to other states/regions. And/or alternatively, if the feeling, as ahead of 2004, is "wrap this race up and focus on a general election against an embattled incumbent".] Attention-seeking states under those conditions would be more likely to move up, if they are willing and able, to take any piece of the pie rather than hold steady on a later date and run the perceived risk of getting nothing. Something -- even if it means advertising dollars spent in local markets and not actual candidates on the ground [Visits are finite.] -- is better than nothing. So, is frontloading an issue for 2020? The answer now is unclear, but hinges greatly on both partisan control on the state level following the 2018 midterms and the perception (in 2019) about how long the race will remain competitive. A California shift potentially affects that latter variable, feeding a possible frontloading contagion. The Democratic National Committee continued its path toward developing the rules that will govern 2020 presidential nomination process. And if you came looking for fireworks on day one of the Unity Reform Commission (URC), you left disappointed. The group convened for the first time on Friday, picking up where the Rules Committee at the Democratic National Convention that chartered the committee left off. This meeting, and likely part two tomorrow, will not be about setting any rules. Instead, the atmosphere among the 21 members -- minus two today -- was cordial. It was, after all, more of a preliminary meeting than anything else. The usual suspects came up in presentations and subsequent discussions about the legal parameters of the nomination process and the history and evolution of the rules. There was a smattering of complaints about the privileged positions of Iowa and New Hampshire and the timing of delegate selection events generally, chatter about devising best practices for caucus states, and, of course, some mention of the place of superdelegates in the Democratic nomination process. Larry Cohen, Vice Chair of the URC and current Chair of Our Revolution, even reined in the group on superdelegates, cautioning that the group's next meeting (not tomorrow, but the next time they convene) will deal with that subject. And overall, that was pretty much that. This was an introductory meeting that found the group more or less feeling each other out. FHQ had a recent discussion with someone in the Democratic Party, and we were talking about expectations for the URC. The point that I made then would reiterate at this juncture is that successful rules making from this group will be measured by the extent to which they are able to avoid items falling into the familiar Clinton/Sanders divide. If this becomes a process dominated by the rules decided along (intra)party lines, then it is likely to end bitterly. In the paraphrased words of a disappointed Sanders supporter at the convention last summer in Philadelphia, "These commissions are where reform goes to die." Perhaps, but it does not necessarily have to be or end that way. But as the rules-making process on the Republican side over the last two cycles will demonstrate, it is difficult to avoid factions developing in a process that is viewed as extremely important among elites/activists within the parties' coalitions. The second part of the first URC meeting will be tomorrow. FHQ will be on hand for that as well. Whether I have a wrap up post on that session depends on the ground covered, but I will provide commentary on Twitter in real time as well. The question that remains after competing bills passed each house in the state legislature on May 4 is exactly where in March the primary ends up in 2020. The Assembly bill -- AB 84 -- is the more straightforward of the two. It shifts a consolidated California primary back into the first Tuesday (after the first Monday) in March position the Golden state primary occupied during the 2000 and 2004 cycles. Alternatively, the Senate version -- SB 568 -- is a bit more complex. On the surface, it stakes out a less ambitious, third Tuesday in March spot on the calendar. However, it also gives the California governor the option of bumping the primary up to an even earlier position. Now, given current national party timing penalties on presidential primaries, anything earlier than the first Tuesday in March is a non-starter. That gubernatorial power is rendered mostly powerless; except granting the executive branch the ability to move the primary up as early as the date called for in the Assembly legislation. While it is true that a version of this March primary legislation has passed each chamber of the California state legislature, one version obviously still has to pass the opposite house and be signed into law. The first of those seems more likely than not, but the gubernatorial signature is not assured (though admittedly likely given the synchronicity of an open 2020 Democratic presidential nomination and Democrats' unified control in the Golden state). The likelihood of a move, then is quite high. That carries with it a couple of additional notes worth mentioning here. First, this move would be on the early side. While some states schedule their presidential primaries for the next cycle before the midterm year, it is exception rather than rule. The vast majority states hold off on acting until the timing of the presidential primary is actually on most legislators radar. Occasionally, that is immediately after a presidential election year, but more often than not, the urgency is higher after the midterms and more importantly after the national parties have set their delegate selection rules for the upcoming cycle. Since this California move would be made earlier than is typical, the legislature would theoretically have the ability to move again. That is probably not likely this time around, but it should be noted that California shifted from March to June after 2004 before moving again -- from June to February -- ahead of the 2008 cycle. All the incentives are to move earlier, and in this 2020 case, California will already be as early as it possibly can be. Unless the national parties seek to penalize March primaries, then, California would be unlikely to pull up the tent stakes and move again; this time to a later date. Additionally, a California push into March has a certain gravitational pull to it. In delegates terms, the cache of delegates in California represented nearly seven percent of the total number of Republican delegates in 2016 and nearly 11.5 percent on the Democratic side. That is a level of delegate-richness that brings other states along for the ride. That happened in 1996, 2000 and 2008 -- all cycles that witnessed California shifting to an earlier primary date. While there are only a handful of states with unified Democratic control now -- and thus have less motivation to move -- that may be different after the 2018 midterms. That is still a way off, but bears mention in this context. California may be alone in moving now, but would potentially pull many of those northeastern, mid-Atlantic states that shifted from February to much later dates in 2012 back into March, further frontloading the calendar. Most of this is a story for 2019. But for now, the momentum is behind a California push into some Tuesday position in March.